Mr. and Mrs. Flagler shared the Master Suite, a practice uncommon at the turn-of-the-century. The suite included two separate dressing chambers, a large bath area, and a bedroom. 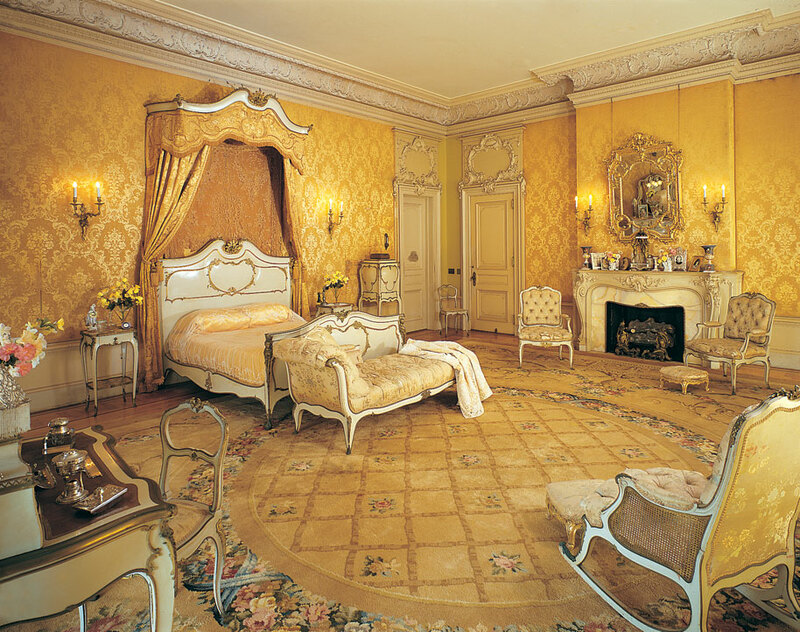 The bedroom, decorated in the Louis XV style, is furnished with the original bedroom furniture. The bed fabric and wallcoverings were reproduced based on samples of the original fabric. In Mary Lily's dressing chamber outside the master bathroom hangs clothing typical of the period. Beyond the dressing chamber is the bathroom. This modern bathroom was equipped with some of the most advanced conveniences of the day, including indoor plumbing, a telephone, a tub, and a needle shower.